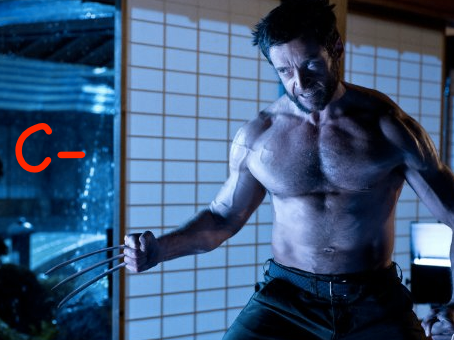 Director James Mangold (Walk the Line, 3:10 to Yuma) takes his stab at Wolverine in a surprisingly emotional look inside and outside our favorite feral hero who is again carried on the chiseled shoulders of Hugh Jackman. But this specifically focused film comes at the expense of the usual things we enjoy. Summoned to Japan by an old acquaintance (Hal Yamanouchi) whose life was saved by Wolverine in Nagasaki, Logan gets grafted into a conflict that forces him to do battle with ninjas and yakuzas and one big samurai robot with a flaming sword, while forcing him to come to terms with his inner-demons. Now that is an honest description! And in a movie with ninjas and big samurai robots with flaming swords, even if everything else is done right, things are still going to be amiss. His trip to Japan puts him in touch with fellow-soldier-to-be “Yukio” (Rila Fukushima) while making an intimate connection with “Mariko” (Tao Okamoto)—both Fukushima and Okamoto are newbies to the screen, but with plenty enough to offer by way of sword-slashing and quality acting. The fighting tries hard enough to be epic and mostly succeeds, but where the seat of the movie’s heart is to be found is in getting in touch with Logan’s vulnerabilities in what seems more of a stopped-short love story than a desire to entertain action fans. The performances are not an issue in Wolverine while the same can be said of its desire to stay loyal to the comic book, but not much else positive can be offered. Comic book films are made or broken by the appeal or lack thereof of their antagonist(s), and in this case, is broken by the implementation of two villains—one not credible and the other not relatable. “Viper” (Svetlana “Tinker Tailor Soldier Spy” Khodchenkova) is the professional terrorist with all the right connections. She is a stunning movie adaptation of the comic book character, almost to a “T,” but audiences won’t take to her like the comic book junkies will. The way she is presented makes her rather forgettable, despite a bang-up job by the Russian actress in portraying the character. 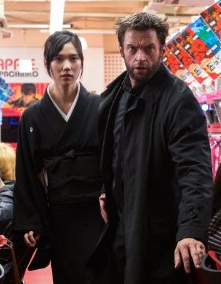 The Japanese saga of Wolverine is considered the most fan-loved. And in a smart film such as this, its pacing did it no favors, nor did getting attacked by arrow-shooting ninjas like something from some cheap 80s TV show. Big screen adaptations often demand big changes. Add to this, Wolverine doesn’t really get to strut his stuff here, and even Jackson himself has a hard time filling his old shoes. And not everybody wants an all-out introspective take on the comics, especially when it’s not done with enough grit. The story doesn’t exude that much likability and doesn’t always explain itself very well – not with things like that huge samurai robot with a flaming sword being thrown in – thereby condemning it to the realm of every other over-the-top comic sci-fi in recent years. It had a lot going for it, and considering the movie this could have been makes us regret even more its falling short.